I attended an all day session on Past Life Regression with Dr. Brian Weiss in Santa Clara recently. It was phenomenal to say the least. There were two regressions and two exercises he conducted. I did not experience a past life, but experienced something else. I have had a past life regression and have also spontaneously seen several visions of my past lives, perhaps that's why? I feel we always experience what is needed when it's needed, and if you don't experience or understand an experience, it's not required for you right now. In the first regression, he lead us through suggestion into a deep meditative (hypnotic) state. I had told myself that I will let my soul lead and experience whatever I needed to. So I let go and gave the reins to my inner guidance. He asked us to visualize a childhood memory. I saw a photo of Krishnji (Krishna). It is a photo I have seen before and started wondering if I had seen that in my childhood. I felt a heart connection with this photo and deep love. Dr. Weiss asked us several questions about this childhood memory but I just kept seeing Krishnji's photo. If not from this childhood, perhaps it was from previous childhood. He then asked us to move to the time we were in our mother's womb, and experience what that was like. I had some fear or resistance and saw Sananda (Christ) appear to give me love and comfort, I feel he was there throughout my experience. I had few visuals and experienced something, but it wasn't significant. After this he guided us to a previous life. At this point I felt my higher self descending and filling my frame with light and energy, and only a small portion of Vinita's mind remained. My higher self led me not to a past life but somewhere else! I felt I began to rise and move through space. The mind asked a few times during the process, "Who is this?" The subtle answers were something like, "Light being...higher self" The visions were very vivid, but I am already forgetting the details. What I remember of that experience is that I am either in another dimension or planet. There is like an ocean of a blue liquid type substance and blue beings of light rising from it, made of the same substance. I am also one of these beings. I saw 2 other beings, I looked into the eye on one of them. There was a feeling of bliss, tranquility, silence and deep peace. The communication is telepathic, a knowing, beyond thought. I felt my heart feel at home here. I heard Dr. Weiss ask us questions like move to the end of this life, what lesson did you learn from this life, to get a message from guides, angels, masters. I felt going up like a swirling spiral through space. All this was happening spontaneously. At some point Dr. Weiss asked us to slowly come back. I was still completely my higher self, which had some subtle messages for me I don't remember. 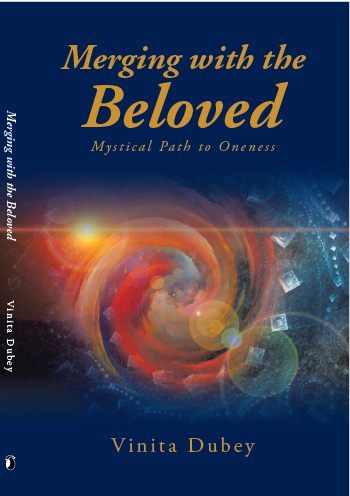 As I started coming back, my awareness was switching between that self and this self, Vinita. My higher self said, "I will always be there", I saw it as a ball of light, that then dissipated into a great expanse. Slowly the Vinita personality came back. It felt uncomfortable coming back here, because I was so peaceful and at home in that realm. In the second regression after lunch, I was quite sleepy and tried my best to stay conscious. Dr. Weiss was leading us to a previous life by chosing one of the time periods he'd mentioned. Again, I let my inner guidance lead. It took me to, I felt, a time in the future instead! I don't remember much, but I saw crystals and it was a different place, unfamiliar to me. A lot of my experience was subtle and as my mind was still there, I had asked questions within, the answers were given of course telepathically. Vinita, I must complement you , you are a true seeker, and a yogi. You really want to make this works a better place, you want to help others awaken to their true nature of who we really are. You are like those Gopis of Gokul who had all the work of the household to do on their shoulder but we're constantly remembering / wanting to be with Krishna. As they say " be in the world but not of it "